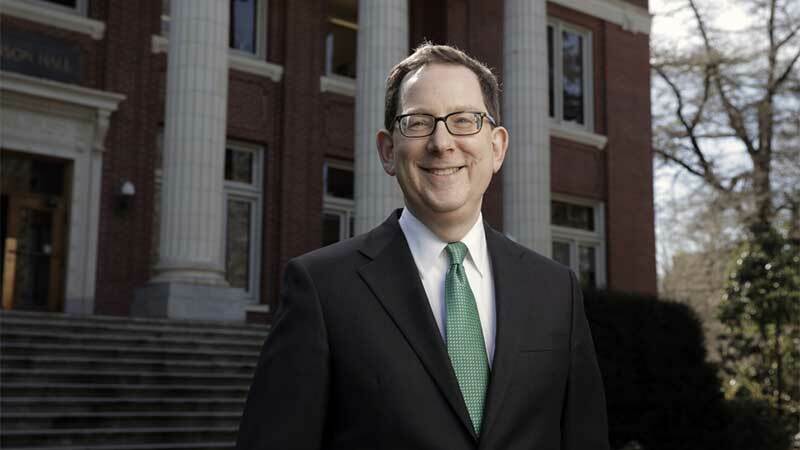 UO President Michael H. Schill defended free speech rights and condemned those seeking to silence opposing views in a column published in the New York Times. The Oct. 23 op-ed, headlined “The Misguided Student Crusade Against ‘Fascism,’” followed a student protest earlier this month that disrupted Schill’s state of the university address and forced him to deliver his remarks via prerecorded video. He said that kind of silencing works against the protesters’ interests.